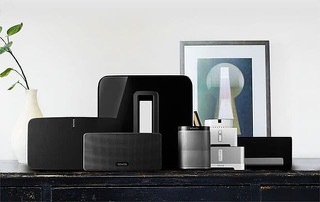 Sonos is a wireless smart speaker system that lets you connect up to 32 components and fill your home with audio of your choice. 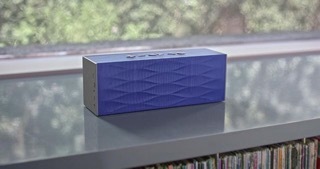 The company offers a variety of speaker styles, five of which are also AirPlay 2 compatible so you can use it with Siri, including Sonos One, Sonos Beam, Sonos Playbase, and the second generation Play:5. Once you’ve picked your speakers and set up your system, you can control your speakers from any part of your home — all using the handy Sonos Controller app. Here’s how to get started! 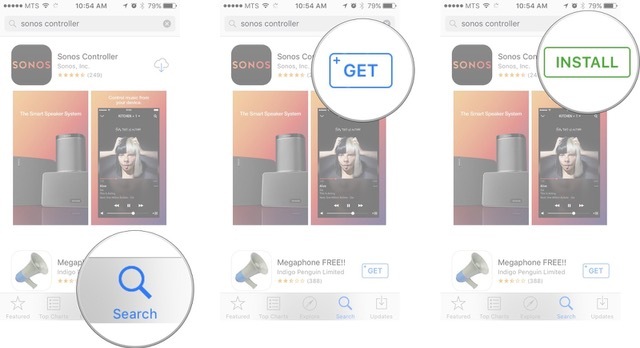 How to connect a music service to the Sonos Controller app on iPhone and iPad. Before you can start using your new Sonos speakers, you’ll need Sonos’s official app; you can download it for iPhone and iPad from the App Store. You can also search the App Store for “sonos” at any time to find it. 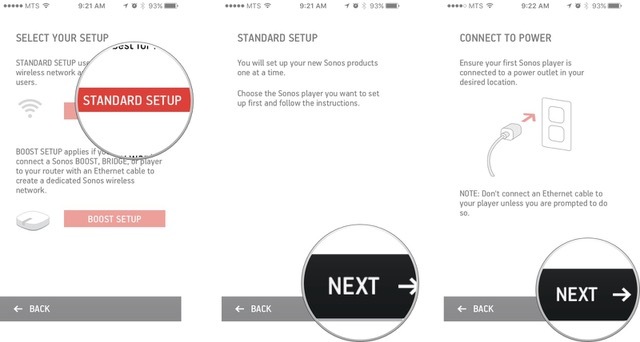 When setting up a new Sonos speaker, you’ll follow a slightly different opening process depending on whether you’re a brand new Sonos customer or you already have an account. 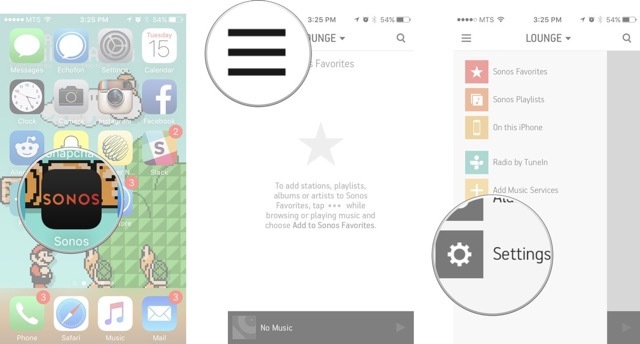 Launch the Sonos Controller app from your Home screen. Enter your email address and a strong password. Use the toggle switch to accept the terms and conditions. Switch to your email account to confirm your address. Tap the Verify email address button. The Safari app will automatically open and display a confirmation. Return to the Sonos app. Tap Continue once more to begin setting up your speakers. You’ll be asked whether you’d like to set your Sonos network up as a Standard or BOOST network. Most users should pick Standard setup. Press Next to begin setting up your first speaker. Continue with the steps below under Add a new speaker. Tap on the Add a Player or SUB option. Connect your Sonos speaker to a power outlet. Look for a green flashing light on your Sonos device. Once you see it, tap continue. Note: If you don’t see the light, tap I’m unsure about the light for troubleshooting tips. Sonos will automatically look for any compatible speakers for its system. Tap the one you wish to set up (or, if setting up multiple speakers, the device you wish to set up first). Locate the pairing button (on older models, it may be a combination of buttons) on your Sonos device and press it, then release. After the device connects (you may need to enter your Wi-Fi network name and password), press Next. 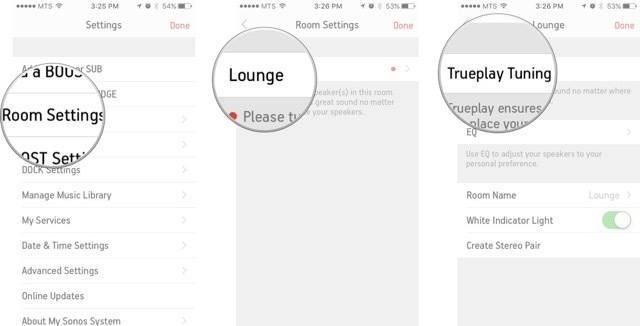 Choose the room where you’d like to set up your Sonos speaker. Your speaker is now set up with the Sonos system. Press Add another speaker (and return to step one of “Add a new speaker”) to set up an additional one. After you’ve connected all your speakers, you’ll have to finish setting them up. If your Sonos products need updates, you’ll be prompted to update your speakers. Press Next to begin the update process. Press Continue after the update process is complete. Your Sonos products will then automatically register to your account. 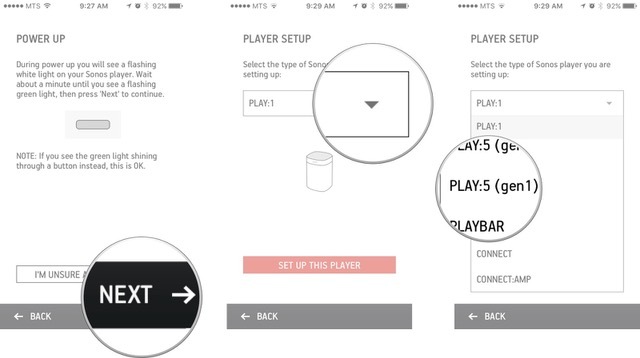 Tap Continue to use Sonos’s Trueplay tuning process. Note: Only certain phones support Trueplay; if your device doesn’t support it, you’ll see an error and an OK dialogue; you can set up Trueplay later at any point with a compatible device. If you have an Alexa-enabled Sonos speaker, see set up Sonos and Alexa below. If your Sonos speaker supports Amazon Alexa, you’ll be asked to set up Alexa by tapping Sign in to Amazon. Enter your Amazon credentials and press Sign in. If you have non-Alexa Sonos speakers as part of this system, you can have Alexa recognize them all by saying “Alexa, discover my devices” to your Alexa-enabled Sonos speaker. Switch to the Alexa app on your iPhone. Tap the hamburger menu icon in the upper left corner. Under Search all skills, type Sonos. If you have an AirPlay 2 supported Sonos speaker, you can also set it up to receive requests from Siri. You can connect Siri to Sonos using the Home app. You can stream music directly from Apple Music to an AirPlay 2 supported speaker. 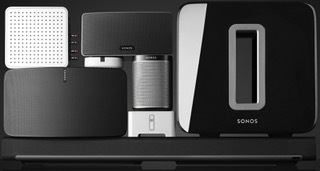 Whether you use Apple Music or another music streaming service, Sonos supports dozens of them. Here’s how to find and add them to your Sonos speaker. Launch the Sonos Controller app. Tap More in the bottom right corner of the app. Tap the streaming service you want to add. Tap the button to connect the service (it will read log in or set up or something like that). Authorize the streaming service with your account credentials. If you’ve left the Sonos app to log in, go back to the Sonos app and tap Continue to complete the process. If you want to stream music from Apple Music, podcasts from Overcast, or audiobooks from Audible, you can select the streaming service and browse content from there. Select the streaming service you want to use. Select content you want to stream. You can also add songs, albums, playlists, audiobooks, radio stations, and more directly to your Sonos app. It’s like favoriting content so you can find it easier later on. When you add something to My Sonos, it will appear in the My Sonos dashboard in the Sonos Controller app. Select content you want to add to My Sonos. Tap the More button next to the content. It looks like three dots. Tap Add to My Sonos. Note: You can’t add songs from the iTunes library on your iPhone to My Sonos. Tap a category from playlists, artists, albums, genres, songs, compilations, composers, and podcasts. Select the content you want to play. If it’s an individual song, podcast, or audiobook it will begin playing. If you select a playlist or album, tap play all to begin playing it immediately. Tap the more button (it looks like three dots) if you want to play next, add to end of the queue or replace the current queue with it. You can also browse more music from a specific artist or get album info by tapping More. Once you have all your music services linked to the Sonos Controller app, you can search through them all with ease to find any of the music you like. Tap the search button. It’s the magnifying glass at the bottom of the screen. Type your search into the search field. Tap the item you want to play. Play Now: This will play the item immediately. Play Next: This will play the item after what’s currently playing. Add to Queue: This will place the item at the end of the current list of songs. Replace Queue: This will play the item after the current song and remove all other songs after it in the list. More: This option lets you browse more music from the artist and get album info. Updated August 2018: Updated steps to reflect changes in the Sonos Controller app. Now that Sonos supports AirPlay 2, you might be wondering how to get your smart speakers to work with Siri on your iPhone or HomePod. The first step is to update everything. Then you can connect your Sonos speakers to your Home app. Here’s how. Which Sonos speakers are compatible with AirPlay 2? Not all Sonos speakers are created equal. Only four speakers in the Sonos line natively support AirPlay 2. That being said, if you have one of the above-listed speakers, you can connect it to one of your non-AirPlay 2 supported speakers and it will play music alongside it with the AirPlay 2 one sending the instructions to the others. If you haven’t already done so, you’ll need to update your Sonos app to version 9.0. If you’re brand new to the Sonos family and have never downloaded the Sonos Controller app before, when you go to download the app, it will already be at version 9.0. Once you’ve updated the Sonos Controller app to version 9.0 or higher, you’ll find the notification to update your speaker when you launch the app. 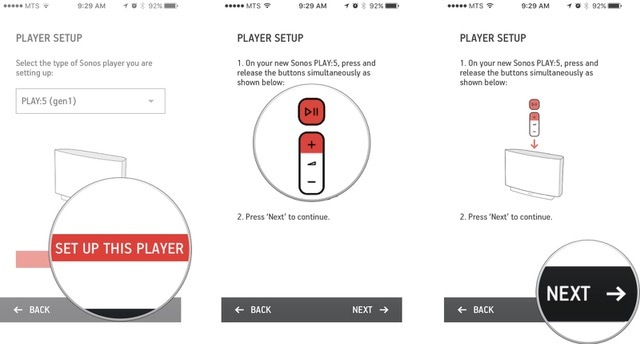 Launch the Sonos Controller app on your iPhone. Tap the More tab. It looks like three dots. The Sonos app will communicate with your speaker and update its software to the latest version with support for AirPlay2. Once your Sonos speaker is connected to AirPlay, it will appear in the AirPlay playback section of Now Playing widget in Control Center. On iPhone X, swipe down from the top right corner of the screen, or on all other iPhone devices, swipe up from the bottom bezel onto the screen to bring up Control Center. Tap the speaker selection button on the Now Playing Widget. 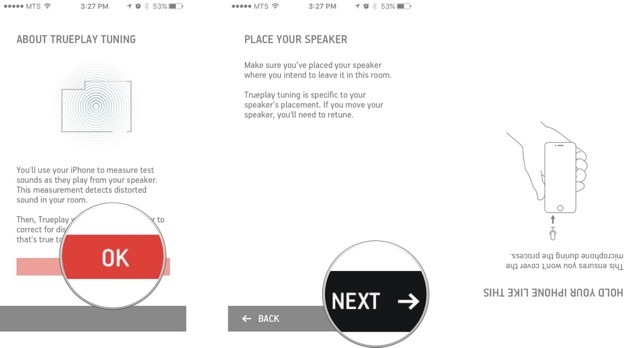 Tap your Sonos speaker (and any other AirPlay speaker you’d like to send audio to). If you want to get the most out of your AirPlay 2 connection, you’re going to want to use Siri to control playback of your Sonos speaker (you can use both Siri and Alexa with AirPlay 2 supported Sonos speakers). To connect your Sonos speaker with Siri, you’ll need to add it to the Home app. Tap the Add button in the upper right corner. It looks like a plus symbol. Use the 8-digit code that came with the startup instructions for your Sonos speaker. If you don’t have the code anymore, tap Don’t have a Code or Can’t Scan? and then tap the Sonos speaker to wake it up. The sync should happen automatically. 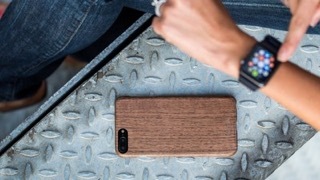 If it still doesn’t connect, follow the steps to troubleshoot adding an accessory. Once the Sonos speaker is connected, rename the room it’s assigned to by default to the room name you gave it when you set up the speaker. Turn on Include in Favorites to make sure it shows up on the first page of the Home app whenever you open it. Now that your Sonos speaker is in the Home app, you can ask Siri to play music through it. Siri can be a bit testy with Sonos speakers, especially when you’ve got a HomePod in the same room. The key is to identify specifically which speaker or speakers you want to play music from. “Hey, Siri. Play Hobo Johnson from the Play One” or something similar. Confirm the name you gave your Sonos speaker in the Home app. By default, it will just be called “Speaker,” so you may need to rename it something more specific. I tried calling my Sonos Beam “Lightsaber” but Siri didn’t understand what I was saying and wouldn’t play directly to the Sonos speaker. I ended up naming it “Beam,” and Siri seems to be able to understand that word better (though it still doesn’t understand every time). If you want to play music through multiple AirPlay supported speakers in the same room, make sure they are all listed in the same location in the Home app. 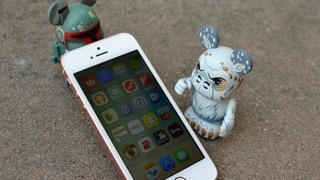 “Hey, Siri. Play my workout playlist in the Living Room” or similar. You can also have Alexa pause, skip ahead, and rewind music that you started playing from Siri and vice-versa. I’ve found that both Alexa and Siri work about 70% of the time when I ask one virtual assistant to start playing music and then the other to adjust it. It’s not perfect, but it’s pretty fun when it works. Do you have any questions about setting up your Sonos speaker with AirPlay 2? Put them in the comments and I’ll help you out. Have you ever noticed your Sonos speakeris sounding distorted or unclear in certain places in your house? 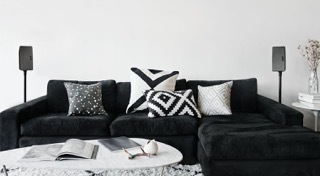 That’s because sometimes the shape of the room, or even the objects in the room where your Sonos speaker is, could be causing the sound to become disrupted. Luckily, Sonos has an answer for this, and it’s exclusive to iOS devices. It’s called Trueplay. 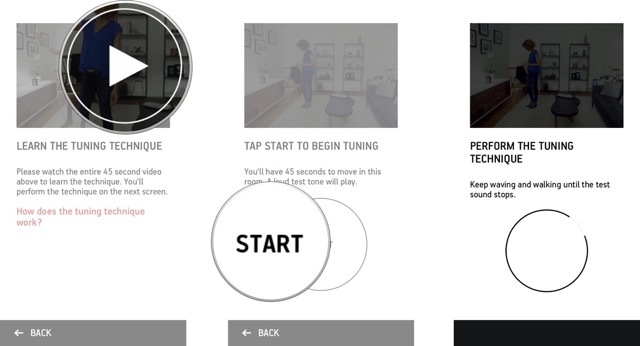 Trueplay is Sonos’ version of tuning your speakers to the room in which you place it. It uses your iPhone or iPad’s microphone to pick up a tone emitting from your Sonos speaker to understand how sound moves throughout the room. 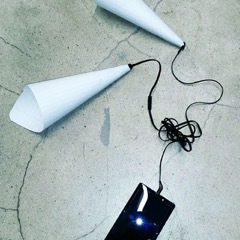 It will listen to how the sound bounces of the walls and objects in the room to try and identify where the sound is reaching clearly and where it is not. 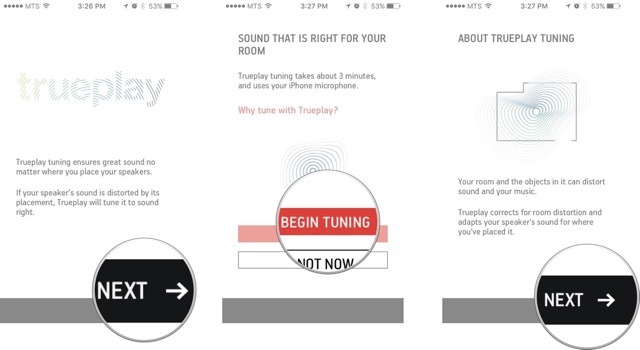 The endgame of using Trueplay is to deliver clearer sound to all parts of the room. 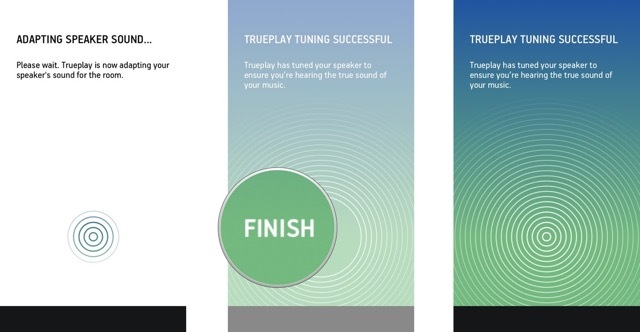 Sonos suggests that any time you move your speaker, even if it’s only a couple feet, you should re-tune Trueplay for the greatest effect. 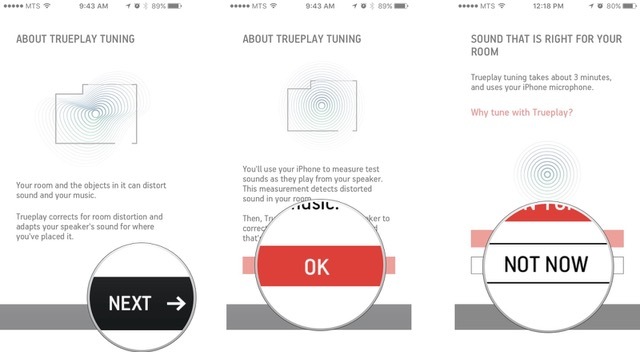 How to tune a Sonos speaker using Trueplay. 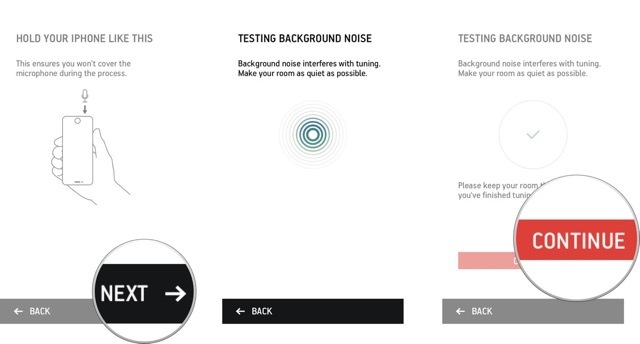 In order to tune your Sonos properly you need to make the room as quiet as possible and we really mean it. While trying to tune Trueplay ourselves, we got a few notices that there was too much noise because of some light talking in the office next to the one we were tuning in. So turn everything off and take a few minutes to be very quiet so you can avoid the frustration of the process failing. Tap on the menubutton. It’s the icon that looks like this ☰, in the top left corner of the screen. 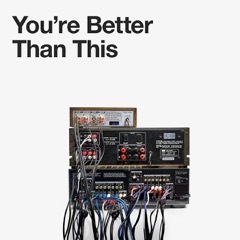 Tap on the label of the Sonos speakeryou want to tune. Tap Nexton the trueplay screen. Tap on Nexton the about Trueplay tuning screen. Tap on the Nextbutton after you have place your speaker in the room. Waitfor the background noise to be tested. This only takes a couple seconds. Watch the video providedin order to learn the tuning technique. Your Sonos speaker will start making noise. 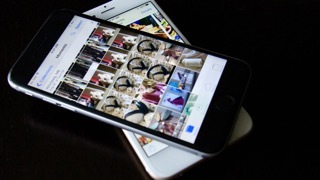 Walk around the room slowly and wave your iPhone/iPad around the roomlike the video showed you. Waitfor your speaker to adapt to the sound. 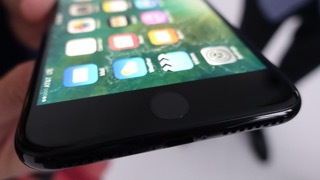 Turn your iPhone or iPad right side upand tap the Donebutton. Your Sonos speaker should now be tuned to your room. For the best sound, make sure any time you move your speaker, even if it’s still in the same room, to do the tuning process again. This post may contain affiliate links. See our disclosure policyfor more details. Use your Sonos to escape into nature. 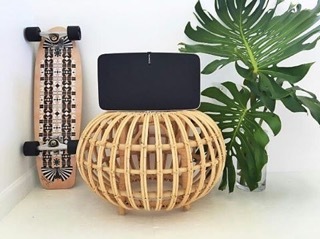 By setting up two Sonos players in one room, you can experiment with dueling rain sounds and birds chirping across the room, waves crashing against some Bob Marley, or mixing thunderstorms with nighttime crickets. Might we suggest browsing TuneInfor everything from chirrups to sussurations, paired with your favorite streaming service for the accompanying tunes. Love your best friend, but hate his taste in music? If you both have Sonos, now you can BYO. As soon as you walk in your friend’s home, just connect to the WiFi network to add your own good music to the queue. Once you’re on the WiFi, open the Sonos appand blast your best playlists to up the competitive ante. If your friend is lacking in variety, select “Add Music Services” and help a brother out, or select “On this iPhone/Device” within your music menu to queue up any track already on your phone. The only thing you’ll need to get creative with is getting the WiFi password (and hey, we’re sure you’ll think of something). Got more tips you use? 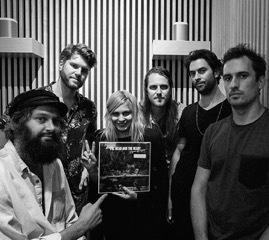 There are plenty more out there, so share your favorites via the Sonos Communityto spread the wealth. 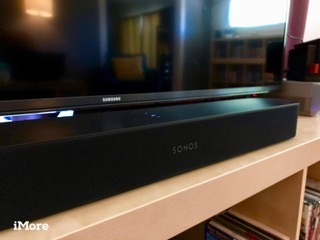 I recently became the proud owner of the fantastic Sonos PLAYBAR. And while the Sonos team is considering creating a Windows 8 App to control their devices, I found a neat little hack to get the DLNA portion of the Sonos to become a “Play To” device from within Windows 8 music apps.